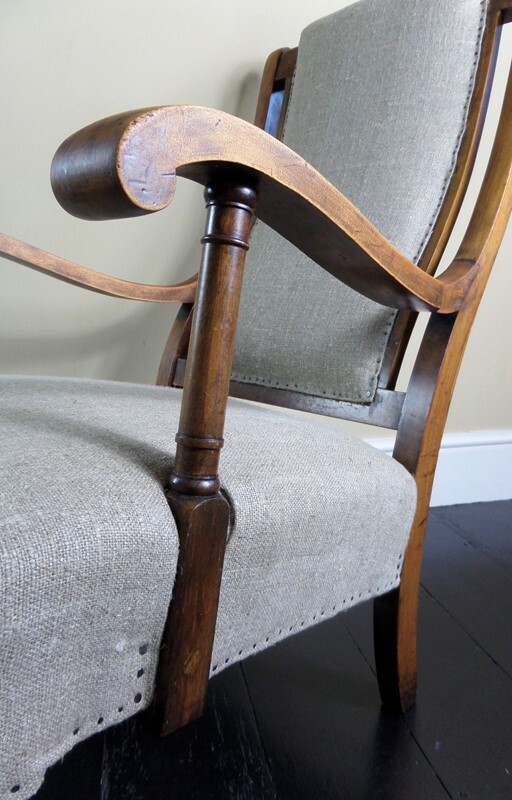 Beautiful antique armchair with wood frame and scroll arms. 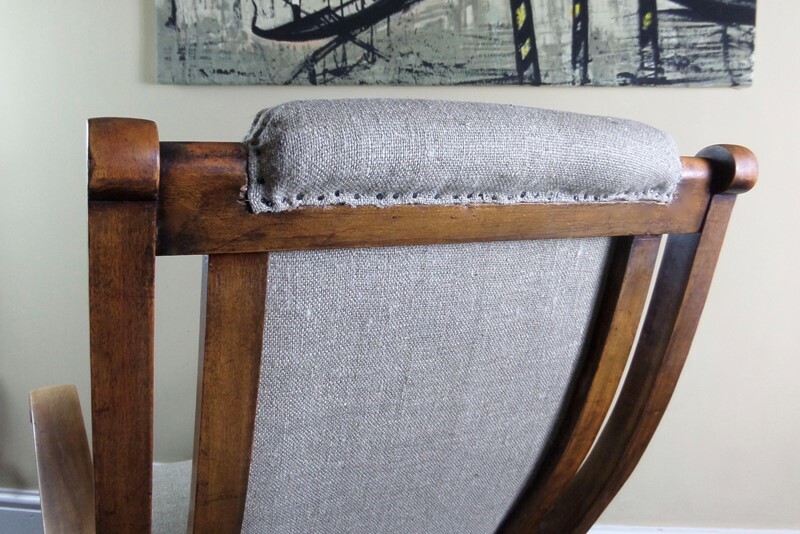 Reupholstered in thick, course woven fabric in natural colour to give rustic feel. Fabric samples available to be sent upon request. DELIVERY: Please contact us for a delivery quote, stating town and postcode. POACHERS BARN is a news business set up by an old hand at vintage antiques. 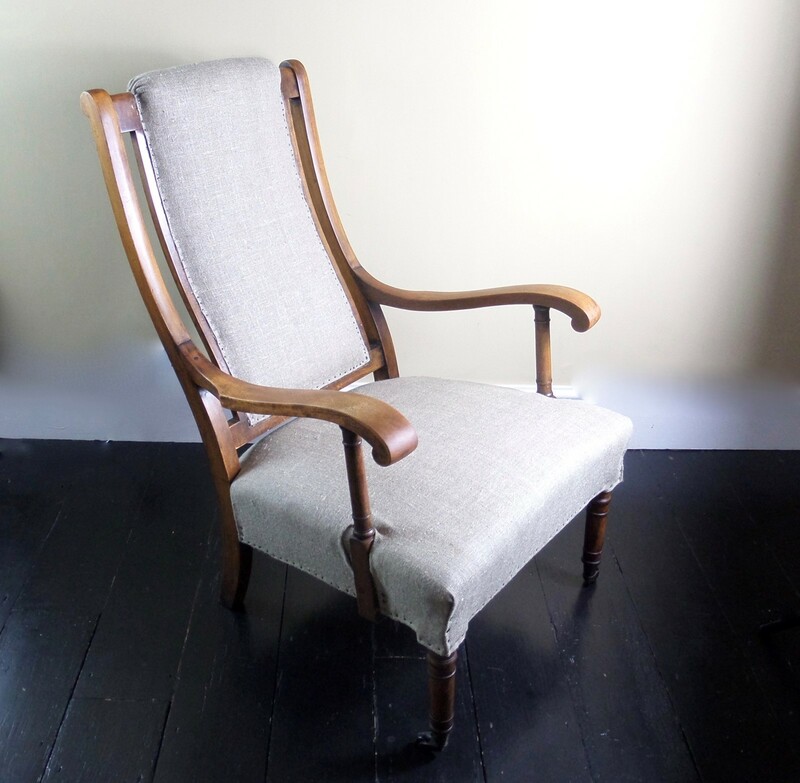 Selling online and based in West Sussex, any viewings will be by appointment only. Poacher's Barn sells furniture, both rustic and modernist, and unusual decorative items often re-purposed from rural pursuits and the industrial past; we also sell some higher end mid century pieces. We source our stock from UK and European markets and auctions, really buying anything that catch our eye and we think may consequently appeal to our customers. Age of pieces usually range from the 19th century through to the 1950s.